Dr. Sullivan Teaches Natural Enhancement Techniques at Upcoming Plastic Surgery Meetings - Patrick Sullivan, M.D. Dr. Pat Sullivan has been invited to join the faculty or lead presentations at a number of national plastic surgery meetings in the upcoming months and throughout 2018. 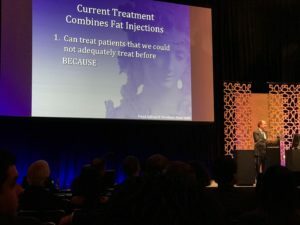 While he enjoys teaching plastic surgeons at national and international meetings, time just does not allow for him to do all of the invited meetings while also being in Rhode Island for his patients. Dr. Sullivan has, instead, accepted two invitations for the fall in Florida and will even remain local teaching at a regional plastic surgery meeting held in Newport, RI. 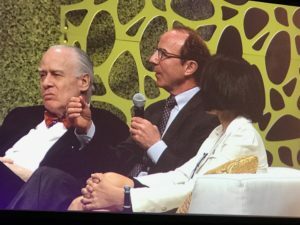 Dr. Sullivan is excited to share his thoughts and methods on an invited panel that will focus on facial rejuvenation and is titled, “Facelift: Evolution of My Technique and Pearls of Wisdom”. The Northeastern Society of Plastic Surgeons (NESPS) will hold its 34th annual meeting at the Marriot in Newport, RI, September 8-10. Dr. Sullivan has been invited to speak on their opening day; Friday, September 8, 2017. The American Society of Plastic Surgery (ASPS) is holding their annual event: Plastic Surgery The Meeting in Orlando, FL October 6-10, 2017. This is truly a great platform as both domestic and international surgeons attend this event each year. Here, Dr. Sullivan will have the pleasure to present alongside some of his peers on two panels. The first will be held on Sunday, October 8th and will focus on his lower eyelid and midface techniques that stress how he is able to get a very natural enhancement while removing the bags and circles. Dr. Sullivan is especially excited to be able to share his techniques on this topic as he has had great success with long lasting results. The second panel will focus on the lower face and will be held on Monday, October 10 2017. This discussion will allow Dr. Sullivan to share facelift and neck lift treatments that have proven results as well as show the correlation between 5 star patient care and these lasting results.